I had been to an art opening in which I had a piece or two of my work and in an adjoining gallery were a whole collection of works done in ceramics by another artist. As I walked among her works, I found them to be unusual, but of no particular meaning to me. I could barely relate. Then I attended a brief lecture by the artist in which she attempted to explain her work. Following her lecture, she asked the audience for a show of hands. Did the explanation help viewers to understand her work at a greater depth? We all, without exception raised our hands. And there you have outlined the proper relationship between wissenschaft and kenntnis. Wissenschaft is the explanation as conveyed by others through books or lecture. Kenntnis is the experience of the object or subject. I am limited to typing on one hand with the most important letters on the qwerty keyboard inaccessible to my left hand. I am grateful that this is a temporary infirmity. So, this will be brief. Imagine the artist's explanation of the show and its parts without the viewer having the opportunity to actually observe the real works. There you have American education in a nutshell. Finding the proper balance between wissenschaft and kenntnis is the secret to effective education. Too much in the books and not enough in the hands is a formula for educational disaster of epic proportions. Elliot Washor sent me this link to a video on the trades that features Mike Rose: Making an Art of Work. The trailer is shown above. On Monday I was showing a simple technique to my high school students on the table saw that I had performed safely hundreds of times before. This time was different. Trying to put my best foot forward I used a push stick, and as a result, had a less secure grip on the wood than normal. The off-cut portion of wood was kicked back slightly, allowing three fingers and my thumb to come in contact with the blade. Fortunately, my injury was not as severe as it could have been. It involved some flesh and nail removal from the thumb, pointer and middle finger of my left hand. The doctor assures me that recovery to full use of each finger will be quick. A more direct grip would have made the operation safe as it had been for me countless times before. It is most ironic that it occurred while thinking I was demonstrating a safer approach. With a bit of further thought, it WILL become a safer approach, as I already have a special purpose push stick in mind. In the meantime, I am doing my typing on an iPad, as the computer keyboard would be a bit much for sore fingertips. This is the most serious workshop accident I've had. So don’t expect much from the blog at least for a few days. I will have more to share about this when I am better able to type with both hands. We know that the most natural inclination for children is to learn through active engagement in all that surrounds them. They see what interests them and the next impulse is to touch, and explore. And yet, when it comes to American classrooms for contrived learning we put all at arms length. Classrooms have become sterile and disengaging as though the child's senses do not matter, and we thus fail to utilize our children's most natural inclinations. No wonder American education is more expensive and less effective than in so many other nations. Kindergarten was truly a revolution in early childhood education, with classrooms designed to inspire, and objects designed to incite curiosity. Educational Sloyd was devised by Uno Cygnaeus in Finland, and promoted throughout the world by Otto Salomon to extend that revolution of sensory engagement in learning throughout the upper grades of education. When teachers from around the world arrived at Nääs for summer classes, it was not just to learn how to teach woodworking, but to learn a complete theory of learning that encompassed and advanced the needs of the whole child. When I arrived, I was surprised to learn that gymnastics was also a part of Sloyd, that Salomon lectured each day on educational theory (in four languages), and that the Sloyd movement was closely connected to the Kindergarten movement which was at that time taking the world by storm in the lowest grades. In other words, Educational Sloyd represented nearly all that we have come to neglect in American education. The relationship between 2nd hand book learning (wissenschaft) and first hand experiential learning (kenntnis) is such that as one has greater first hand experience, the understanding available for book learned subjects grows. A member of our Jung study group (a professor at the U of Arkansas) yesterday mentioned the idea of a window shade opening. Those with limited experience, even when confronted with vast amounts of information through book learning can only perceive so much at a time and far less than someone with greater hands-on exposure to the subject material. Someone having experience in the real world may have formed relationships that Jerome Bruner and others have described as "scaffolding". In Educational Sloyd the method was to move from the known to the unknown, simple to complex, easy to difficult, and concrete to abstract, having started with the interests of the child because even without using the term "scaffolding" it was understood and agreed that real knowledge was necessarily based on something real, and to be useful and continually engaging, the foundation and structure of knowledge needed to be secure. 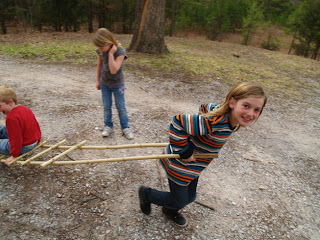 The object was to engage the child in life-long learning. These days materials for learning must be cheaply delivered, rather than delivered effectively at depth. In examining American education, I am reminded of the Platte River in Nebraska, described as a mile wide and an inch deep. In all this, I am reminded, too, of my own investigations of Educational Sloyd. When I left for Sweden, I knew Sloyd to be a system of woodworking education that acknowledged the relationship between the hands and learning. As my own shades of understanding lifted at Nääs, I came to understand Sloyd as a complete foundation for a system of education in which the whole child was educated at greater depth. In my continuing investigation and application of Educational Sloyd, there is hardly a day that passes in which the shades of that which might have been thought simple rather than complex and profound are not opened slightly more. There is an interesting article in the Washington Post, US Manufacturing Sees Shortage of Skilled Factory Workers. The current situation is a direct consequence of our having failed to understand the values inherent in Educational Sloyd. I will be on Paul Preston's Ed Talk Radio this afternoon at 4 PM Central, 2 PM Pacific, 10 PM GMT. It will be my 4th interview and I hope to tell about Clear Spring School. This morning I have my last day of Carl Jung study group, based on reading his Red Book. There are two forms of knowledge, that which is imparted by others, and that which is discovered from one's own experience. In German, the term wissenschaft describes that which is learned from books or consists of knowledge imparted and interpreted by others. Kenntnis is the term used to describe what is learned from one's own experience, hands-on, so to speak. Wissenschaft and Kenntnis are not terms related to Jung, but are in a way related to my own study of Jung. My first reading was nearly useless to me. Then after spending more time in my own examination of his principles as they apply to my own life, my readings of the Red Book have become easier and more useful to me. It is worthwhile exploring these two forms of knowledge and to come to an understanding of the relationship between them. I have written about this before in the blog here: Wissenschaft and Kenntnis. Proceed from the known to the unknown. Move in increments from the easy to the more difficult. Move from the simple to the more complex. Proceed from the concrete to the abstract. Do you remember in college, being bogged down in abstract theories before getting to explore the realities of the subject materials? The complication resulting from reversing the order is that students become disengaged from learning, see no relevance to what they are learning in school, and drop out before realizing their full intellectual capacities. Those things that are learned hands-on, are learned at greater depth, carry a sense of application, are understood as relevant, and are learned to greater lasting effect. It is the great idiocy of American education that we fail to put wissenschaft and kenntnis in their proper order. Construct the foundation for studies first. Today I am working at home, applying Danish oil finish to wooden boxes, doing a sawdust firing of pottery crafted by CSS high school students, and recovering from a minor surgical procedure (no heavy lifting). I will be on Paul Preston's Ed Talk Radio for the 4th time on this Sunday, 2 PM Pacific, 4 PM Central or 10 PM GMT, and the subject will be the strategic implementation of the hands at the Clear Spring School. In the long term, the strategic implementation of the hands in American schooling offers the potential of a revolution. The evidence is overwhelming, and overwhelmingly ignored. And so I have become an advocate for hands-on learning in homes and workshops as well as schools, knowing that those who are already engaged in crafts of some kind, already know the value of hands-on learning and will seek ways to bring these essential experiences to whatever children we can, particularly our own. JD told last week of the powerful feelings that arose when he helped his grandchildren to make friendship boxes. The kids were proud of their work, and JD was excited to share his own love of woodworking with the younger generation. It was a win/win situation, and even the parents were thrilled. Now JD wonders how to bring more woodworkers into the fold. I welcome your thoughts. 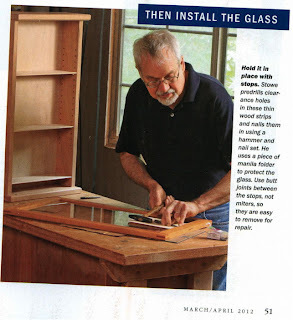 I had proposed to Fine Woodworking Magazine that they do something similar to what Wooden Boat Magazine does... a pull-out removable collectable insert that would help parents and grandparents feel inspired and clearly recognize the need to share with new generations. It would have been a smart way to increase FWW subscribers in the long term. They chose instead to do a website, Getting Started in Woodworking, which they then let founder. If you visit it now, you will find hardly a bit of content on the site. We need a social movement that is not owned by a specific entity, that grows from within, that is motivated by the desire we all feel to share. 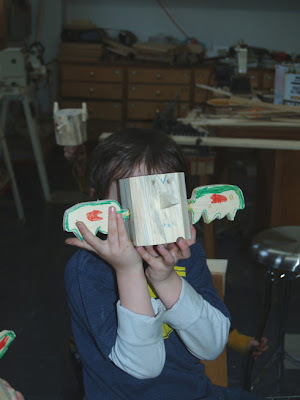 One of my thoughts has been a web based club for woodworking with kids. Is that a notion that any of my readers would take interest in? Would others be willing to offer content and participate? 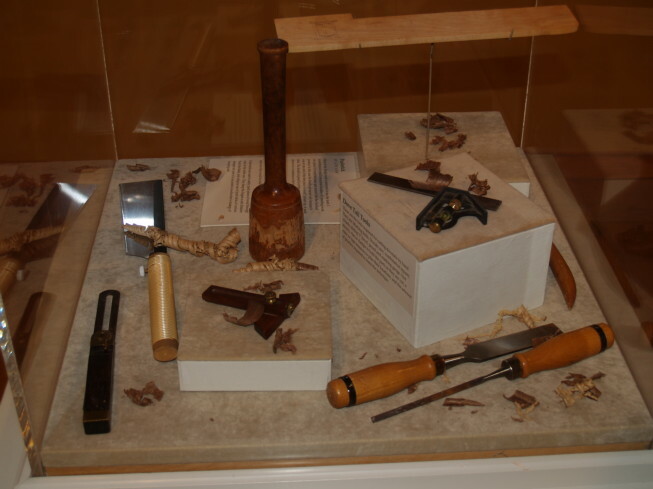 The idea would not be to abandon the notion of woodworking in schools, but rather to further enable it. Education in America has grown to the point at which we must take matters into our own hands. Last night my wife and I watched American Teacher, a documentary film narrated by movie star Matt Damon. Damon's mother is a teacher and he has become an advocate for teachers and the value they present to American culture and economy. We would be a very sorry land without them, and for some reason, teachers in our country do not receive the respect offered them in places like Finland where the top 30% of college graduates become teachers and teaching is the most highly respected profession. In any case, the movie builds a strong case for treating our teachers with greater respect, paying them better salaries to keep them long term, investing in their continuing education, and thus assuring greater success for our kids. And so there is a bit of shame related to the American system of education where high salaries are paid to administrators, and too little money and respect is offered to those entrusted with the education of our kids. That is a difficult problem to fix, but is not impossible. It requires a change in focus and a fresh look at priorities. The second part of all this is that we must also address the relationship between home and school. Parents and grandparents are the front line in education. Student success in school is founded on the relationship of support offered from home to school. If you were to do a study on the relationship between student success and the level of involvement of those student's parents in booster clubs, attendance of school functions, conferences, athletic events, and parent teacher organizations, you would find the positive relationship between home and school to be particularly predictive of student success. Developing a supportive relationship between home and school was important to Otto Salomon and Uno Cygnaeus, founders of Educational Sloyd. Children were to make things that were useful in home and family, thus cementing this essential relationship. A third point that must be addressed is poverty. Can people not see that teachers struggling to make certain that their children do well, are handicapped when their students arrive at class poorly fed and troubled by trying to cope with circumstances beyond their control? There is a direct correlation between living in poverty and failure in school that must be addressed. There will need to be a political battle to bring our educational system back to the right path. That battle is far greater than what we can manage alone. But I am reminded of a scene I witnessed that the Detroit Maker's Faire last year. In a tent sitting at a long table was a grandmother with her grandson. Each was soldering something for the first time. It takes vision and a bit of courage to do new things. For many adults, the idea of teaching their child to do things that they themselves have not done, can be daunting. Fortunately, taking things into our own hands can be a simple thing. We need not be particularly skilled ourselves to put tools in the hands of our children and to learn right alongside. This has always been one of those important points I've tried to make in the blog. My first inclination to teach kids came from having my daughter Lucy working at her own bench in my wood shop. It was that experience that led me to understand the values we can offer as parents and grandparents to our children's development and success in school. And the potential for that understanding to grow in depth resides within each pair of hands, young or old. This morning, the first second and third grade students at the Clear Spring School worked on a totem pole as part of their studies of American Indians. I found a wooden pallet at roadside, removed the top planks, and planed the 4 x 4 in. parts of the base to get stock for each to make their own totem animal. They have done preparatory work in class, drawing totem animals and looking at examples of totem poles on-line and in books. After sawing and adding parts to their blocks, each student's work will be joined with dowels to create the totem pole. We've done this project in the past, so even though it sounds complex, I know it can be managed in small groups, just a few students at a time. One of the distinct advantages of Finnish educational model is a remnant from educational sloyd... personalized or individualized instruction. One-on-one instruction in which a student receives the full attention of the teacher is a powerful tool for engagement in learning. It is very much like what happens when parents or grandparents and children interact in the wood shop. American education is based on a classroom model, but even though students are arranged in classes in Educational Sloyd, the objective of that arrangement is still personalized instruction. So in Finland schools, at Clear Spring School, children are broken into smaller groups, down to a single child to make certain important lessons are learned in the most effective manner. One-on-one is how a parent or grandparent will teach a child, as was always the case from the dawn of man. And one of the foolish things we've done as a society is to isolate the old from the young, putting seniors in front of televisions where they relax and withdraw instead of sharing in the transmission of human culture. JD discovered in making friendship boxes with his grandchildren that it was an immensely rewarding experience that should not be kept to himself. I have always felt that woodworkers are among a select group of human beings who may see a more direct relationship between the hands and learning than may be the case with those educators having grown up in purely academic environments. It is therefore our responsibility to not keep things to ourselves. "A rational society would know what to do with a kid like Taylor Wilson, especially now that America’s technical leadership is slipping and scientific talent increasingly has to be imported." But it is obvious that we are not rational when it comes to education. 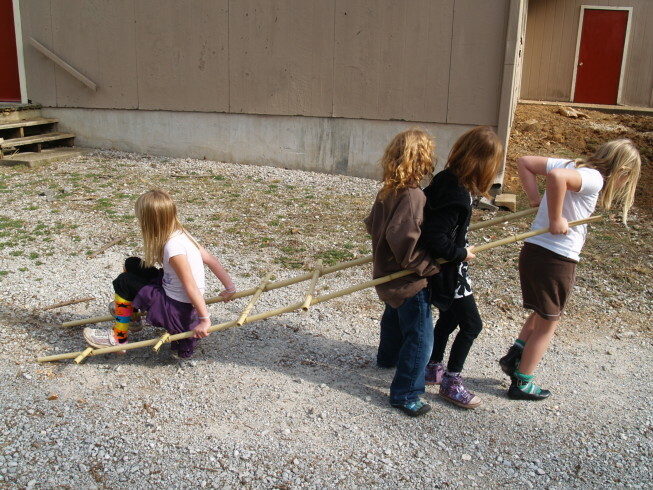 We turn children away from science, we neglect to get them started in the things that would engage their most natural inclinations to build and to make. We insist upon classroom teaching when we know that individualized instruction is what teaches best. Taylor Wilson's case may be unique. He is certainly a gifted child. His parents recognized his gifts, learned to tolerate them at first and then to give him their full support. His unusual curiosity began with construction and how things are made. At the age of 5 he wanted a crane for his birthday. Stamping his foot, he let his parents know that a toy would not do and so his parents arranged for a 6 ton crane at his birthday party. What if we followed Charles H. Ham's advice in his 1890's book, Mind and Hand, and turned our schools into workshops through which children's curiosity could be encouraged and expressed and form the building block for life-long learning? That might become our long term goal. Schools without boredom. In the meantime, we need to work with that which is given us and take matters into our own hands. The video above is forwarded by reader, John Grossbohlin. 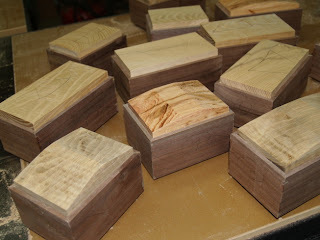 I just got back to Arkansas from 3 days of box making with the Des Moines Woodworkers Association. I want to thank the club for inviting me, welcoming me in Des Moines, paying attention (which in itself is a great gift), and allowing me to share some of what I know about box making. I have been busy, have neglected the blog (though you or I can duck out for a few days without diminishing the value of the content) and neglected to take pictures. As some photos are shared with me by club members in the coming week, I may pass them along to you. I want to particularly thank Chuck, who planned the class, attended carefully to so many details, and Bob, who loaned the use of his shop and tools for the class. Both spent time before the class preparing materials for our use, and both served as assistants, making sure all our needs were met. The Saturday class was held in the Woodsmith Store which (though less well equipped that Bob's shop) has a classroom large enough to handle a much larger group. I had a bit of difficulty setting up a new-fangled router table, which made me even more grateful for my own simple set-up at home. My stay in Des Moines,was divided into two classes. On Friday and Sunday we had a small hands-on class in which 9 students learned by observing, keeping notes and by making a box. The third day of classes (Saturday), all lecture and demonstration, was for those 42 students who had less time to invest in deeper learning. We all know that the actual process of making a box is the most powerful of lessons. I have witnessed time and time again, that we learn best, and take learning most to heart, when we are put in situations in which we make real mistakes, or at least know that when we make those inevitable mistakes, they will have real consequences. In teaching hands-on box making, I always allow students to determine the size of the box, the placement of features, and to make choices that put each student in the situation where he or she is not just mindlessly going through motions, taking steps that do not require head scratching and thought. Many wood working teachers, unwilling to risk student failure and to speed things along make all students do exactly the same thing. I prefer to take a different approach. For we do know that we learn most effectively when we take learning seriously, when there are real consequences for lack of attention, and we are expected (by ourselves) to invest ourselves fully in learning. On the limitations of class teaching is an earlier post on this subject that may interest readers. It frustrates me that although we do know how we all earn best, we choose to offer education so much less than our best to our students in American education. The conclusion reached by many of my readers is to take matters into their own hands, at least with their own children and grandchildren. "You should protect your eyes, even if jack plane isn't a power tool. 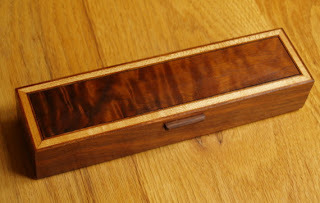 Wood splinters might fly around when you use this and if it hits your eye, it might scar your eye and cause blindness." "Wear safety gloves if necessary"
"Keep these items away from kids, and lock them up in closets so kids won't find them." That last bit made me extremely angry. In contrast, my son is doing an after-school workshop given by the Compagnons du Devoir here in Bordeaux, where we've lived for 9 years. Yesterday's activity was stone cutting. While we were hauling 15kg of project away, I casually asked him if they had worn safety goggles. Of course not, he said; he could really see no need for it. I mentioned that things would probably be different in the U.S., and then told him about that web page. He gave a very French snort of derision. I am sorry if I gave Tim the impression that I would be against teaching a child how to program a computer. There is certainly nothing wrong with teaching a child coding on a computer if you have that capacity. Screens are disruptive of a child's learning if they are used only for passive, not active, responsive use. Getting into the ways the machines themselves function and learning to control that function at a deeper level is a far cry from passive use. On the subject of what we find on the internet, the range is complete from idiocy to expertise. I find it curious that parents would be urged to lock up their tools, but these same parents will put text messaging devices into their child's hands, put the kid behind the wheel and launch them into a truly dangerous life. Also, I am reminded of an artist at a conference who came up to me after my address on the Wisdom of the Hands. She told me that she had given woodworking tools to her grandson, but her daughter-in-law would not let them in the house... Her son, she said, would make a mess. That reminds me of Bob Dylan, who when asked about his long hair at the time, replied, we all have hair the same length. Some have it growing on the inside where it fuzzies their thinking. In other words, she was willing to make a mess of her son's life in order to protect her carpet from sawdust. There is no cure for this disease but to do real things, with real tools and to share the joys of that process with kids. I am unaware of safety glasses having ever injured anyone, so I will not argue with that advice, but will allow that human beings can go to ridiculous extremes. I am packed to leave for Des Moines, Iowa where I will teach box making for 3 days. Students in Industrial Tech making tables for the school. I just returned today from John Burroughs School in St. Louis where I was part of an accreditation review, and I am leaving in the morning for Des Moines, Iowa where I will teach box making for 3 days. But before I get packing, I want to share a bit about what an accreditation review involves. The most important part of the review is to see if what a school is doing is consistent with what they say they are doing. We start by examining the mission statement first. John Burroughs School is highly academic, and highly successful in getting their students into the best schools in the nation. From an academic standpoint, they can hardly be beat. But like nearly every other independent school that began as a progressive school, utilizing the progressive theories of John Dewey, Pestalozzi, Froebel, and Montessori, things have shifted over time. 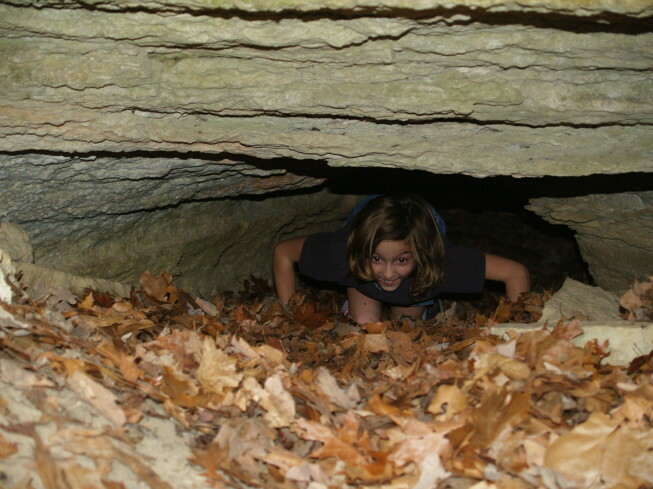 The high pressures of conforming to the demands of doing well on ACT and SAT testing take their toll on the progressive method which recognized the value of unstructured play and student driven exploration. Similar shifts have taken place at all schools that have shifted focus toward being predominantly college prep, and schools like John Burroughs are to be commended to have kept any of the practical arts at all. Each independent school is unique. Each remaining wood shop program in the few independent schools that have kept them in play is unique, too. The point of my review was not to expect their program be like my own or to change to be more like my own, but to help them to better meet the objectives described within the mission and philosophy statements of the school. Fortunately, what I found, was a lovely program with dedicated and enthusiastic teachers meeting the needs and interests of their students. Their program is different from my own. With 800 students grades 7-12, there are two teachers who share responsibilities for the Industrial Technology department. Their programs are more formal than my own, more formal in subject matter, less responsive to what is happening in other classes, but the students are enthusiastic and seem to love what they do in wood shop. 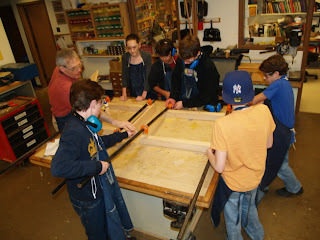 The photo above shows 8th graders making tables for the school. They also are involved in robotics and a variety of other hands-on learning opportunities. Dale Doherty founder of Make Magazine is being promoted on the CNN blog with the idea that we should all become makers of the things we need, rather than mere consumers. You can read about Dale here. How about that idea? We can become makers of the things we need and stop being consumers of those things we do not. That is a prescription for much of what ails us as a culture. Sustainability? This notion nails it. I am on my way home from St. Louis and the ISACS accreditation review of John Burroughs School. John Burroughs is a very special place that still regards the practical arts as being important in the development of intellect and character in its students. I felt honored to be in the company of my fellows on the review team and be in the company of fellows in industrial technology education. John Burroughs is among the best of the best in its academic standards, so it was particularly meaningful that it still allows for practical arts among its many programs. In the meantime JD spent some time with his grandchildren in his wood shop. 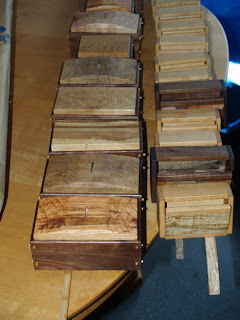 John said,"The grandkids stayed with me this weekend and we made friendship boxes. They built and decorated them and were tremendously excited about the whole thing. Grandpa was in his glory :) Thanks for sharing that project...it's wonderful." Plans for our Clear Spring School Friendship boxes can be found here or on the Fine Woodworking Website here. It will take some time to restore manual arts to our nation's schools, but what better excuse can we find to take matters into our own hands than for grandfathers to share their love of woodworking with those they love most. 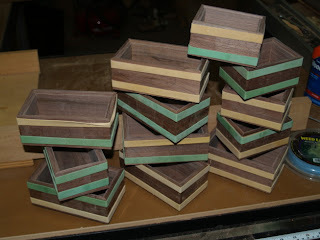 On Thursday I leave for my weekend box making classes in Des Moines, Iowa. I spent my first day of ISACS review at John Burroughs School in St. Louis, and found the school, teaching staff and the students to be wonderful, gracious, welcoming, engaged and all of those qualities one would expect from an ISACS accredited school. 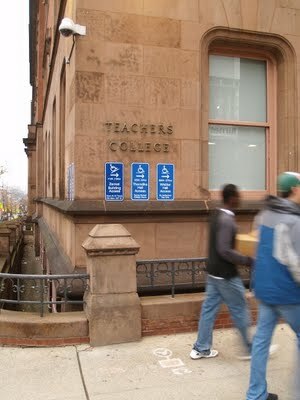 John Burroughs is unusual for a college prep academy in that it has kept some focus on what they call "practical arts". In fact, practical arts credits are required for graduation. How do these "practical arts" serve the student population? Students told me that the classes offer some relief from the heavy focus on academics by offering a "different kind of learning". It offers a chance to reflect on things learned in other classes. Students often don't get enough of the practical arts in class time and schedule additional instruction time. One student told me that she liked focusing on small details knowing that even small details matter and that she liked seeing a project from very start to finish. What are the "practical arts?" Industrial technology, which includes wood shop and robotics, and also household arts including cooking and sewing, and the kinds of computer arts that support academic learning throughout John Burroughs School. I am at John Burroughs School in St. Louis as part of an ISACS review team to help with an accreditation review of their practical arts department. They have an absolutely lovely facility, that is huge in proportion to our tiny Clear Spring School. I expect to have a lot to learn through this visit. I met some of the teaching staff this evening and look forward to visiting with them tomorrow. In the meantime, the comic strip Dunesbury this morning had the following quote from a teacher,"You may have been warned that this classroom is one of the few that has never been infected by the self-esteem craze." It seems that even children have the capacity to tell the real from the false, and to become engaged in the real and repelled by that which has been contrived to sustain their false sense of self-esteem. Give them real things to do and they will earn esteem they can trust. For it will be their own, and not something made up by others as a manipulatory device. This same idea came through a segment this morning on NPR, "What French Parents Do That Americans Don't". The author mentioned that French parents allow their children to earn self-esteem on their own. One of the things about this school, John Burroughs, is that it had grown up in the early days of progressive education, and had grown progressively back toward the mainstream, but away from the progressivism of its roots. That's, my friends, is the inevitable in this day of standardized testing, for parents, teachers and administrators all want some evidence of measurable success. For me, this visit is an opportunity to examine progressivism and what it really means and how it can be still better applied at the Clear Spring School. Progressive education does not mean the newest thing, but rather an education that grows progressively from the interests of the child. It is truly an honor to be here with such a fine educational institution. 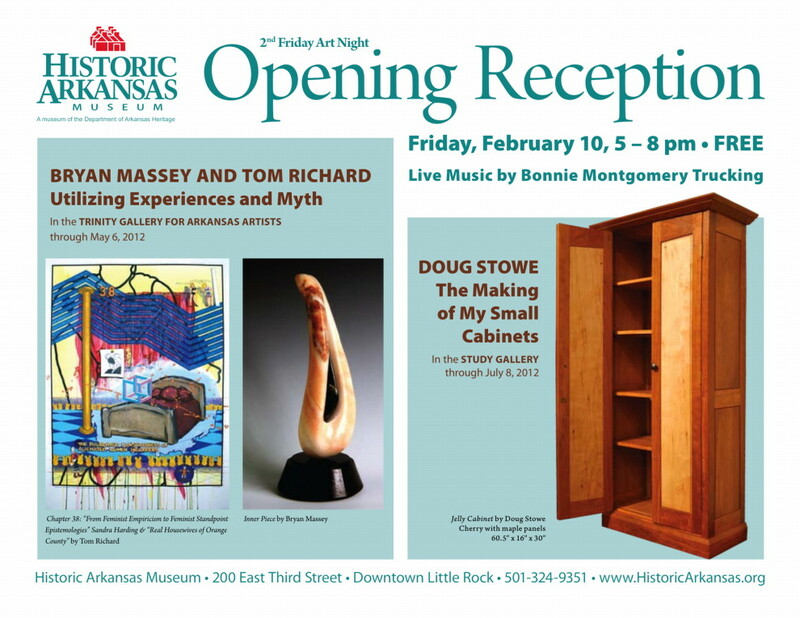 The photos are of my exhibit at Historic Arkansas Museum in Little Rock. Tomorrow I go to St. Louis to visit John Burroughs School for Sunday through Wednesday as part of an ISACS accreditation team to do a review of their technology education program. I am looking forward to a chance to visit another ISACS accredited school, as I know it will be an energizing experience. I expect to learn a great deal. 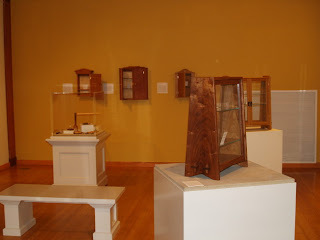 Tonight is the opening night for my show at the Historic Arkansas Musuem, "Making My Small Cabinets," which displays the small cabinets made in the course of making my book and DVD Building Small Cabinets. I have thought for years that it would be interesting to do a museum show using all the objects made in the course of writing one of my books, and this is the first opportunity for me to set up such a display. Copies of the book will be available or signing and purchase in the museum gift store. The hours are 5-8 PM, and the museum is located at 200 E. 3rd St. Downtown Little Rock. In the meantime, I've continued work on the boxes inspired by my lucid dream as shown. They will be more lovely when the Danish oil brings out the deeper luster and colors in the wood. "Students have built a natural rain garden in Russell Courtyard, hand-made and lovely, to demonstrate sustainability with native plants. 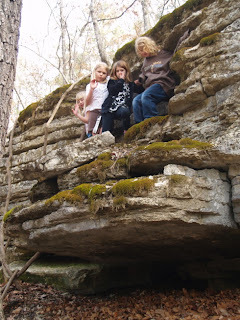 Schoolchildren play and learn in that area, integrated with some of our classes." "It’s interesting that the first stage in the formation of TC was the Kitchen Garden Club of Grace Dodge and her friends, working with immigrant families in the wider movement that also included the settlement houses. From there it became obvious that preparing teachers for such work amidst the great dislocations of urban life before the turn of the century was a logical next step. TC is about to celebrate its 125th anniversary, so the memory of these origins is highly relevant, among other things showing the deep interconnection between health (including nutrition) and education in the storied past of the institution." I cannot pretend to have influenced Dr. James in any of this, but we all move through life in need of reminding and find confidence in what we share with each other. When we investigate hands-on learning, we gain a better understanding. When we share what we have learned with others, we may give them greater confidence to investigate on their own and learn as we each best and must do, with our own hands. I had asked to visit Dr. James because I have a belief in history. Things tend to move in cycles. One great thing leads to another. And those institutions that were brought forth for specific purposes will have those same purposes arise again and again through their years. I have a couple earlier blog posts about Teachers College and its role in the start of the manual arts movement in the US. Teachers College and A visit to Teachers College, Columbia University, NYC. Understanding the significance of the hands in learning is not something we can keep to ourselves. One bright note of the day, 10 states were released from some more repressive aspects of the No Child Left Behind legislation today. The idea that you will strip teachers of creativity and then expect students to thrive through the delivery of canned materials is one of the dumber ideas foisted upon American education. We all know that folks find the greatest satisfaction in their work when they are offered some autonomy, the chance to feel creatively engaged and to feel themselves part of a trusted team. Any questions about this? Check your own life and recall times in which you felt fulfilled in your work. Are teachers any different from normal human beings? Only in the minds of ignoramuses. I was scrambling this morning, trying to come up with something for my first, second and third grade students to do in wood shop so that I can avoid the inevitable call for "Creative Day". I had planned to have my students make a totem pole for their study of American Indians, but they have not as yet chosen their own totem animals and done the sketching required, so they are not ready for that. 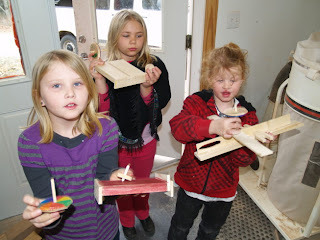 Their favorite thing in wood shop is to have a "creative day" in which they get to do whatever they want. That means I have to supply parts of all sizes and watch over their safety as they do things on their own. It is the most exciting time for them, as they see their own ideas tested. It is valuable for that reason alone. But for me, creative day is a time of stress. Each child will have unique requests to contend with. And some requests will have to be answered, "no." In order to gain some control over today's creative events, I planned to have one serious design constraint. Whatever is made must fit within a box, the size one that I was free to determine. That meant no elaborate furniture. Creativity after all, is made more meaningful by constraint. In addition to student designed projects, I allowed each student to make two tops, one small and one large. That also helped me to focus their energies on smaller projects. Among student projects besides tops, were a cane, a small shelf, a tank, a couple helicopters, a Star-Wars "walker" and doll beds. The photo at the top is of boxes that I am using to explore the unconscious as I explained in yesterday's post. I have joined a short-term study group on Carl Jung, based on his Red Book which was published posthumously in 2009. The Red Book was his own labor on the exploration of his own unconscious mind and its intersections with what Jung perceived to be a "collective unconscious." The Red Book is filled with Jung's small paintings and careful calligraphy, and is as much a work of hand as of mind. In fact, it could be said that Jung was very much engaged in the development of skill. He kept grounded in his own thoughts by doing skilled labor, including stone masonry. He lived at a time in which the integration between hand and mind in the formulation of character and intellect was unquestioned. One of the assignments in my study group is to keep a dream journal, and write down dreams that I remember. Jung had believed that lucid dreaming was a direct link to the unconscious, and I wonder how many other woodworkers use lucid dreaming as a tool in design? Visualize it then make it, and see how things turn out. One of the things I will do when I am in a semi-dream state, is to explore how things go together, and use lucid dreaming to explore the various design elements that can make things interesting and make a particular design engaging to others. So, after a bit of lucid dreaming earlier in the week I have a new series of boxes to make, as I explore what I witnessed in my own thoughts. The boxes in the photo above are the start of that play. I will share more of the dream later as the lids that are formed to complete these boxes. It was believed by native Americans including the Sioux that we gain personal power by making manifest what we had observed in dream state. Can this be true? Regardless, we all gain in power by making things that emerge from our own consciousness or unconsciousness that express useful beauty. On an only slightly related subject, some of you may have seen the T-Mobile advertisement using a toddler and iPhone. The ad suggests that we should be glad to have unlimited plans.... The foolishness is that too many will believe what the advertisement suggests, and buy into the nonsense that putting such devices in the hands of kids should be without restrictions and that the technology might even be good for them. 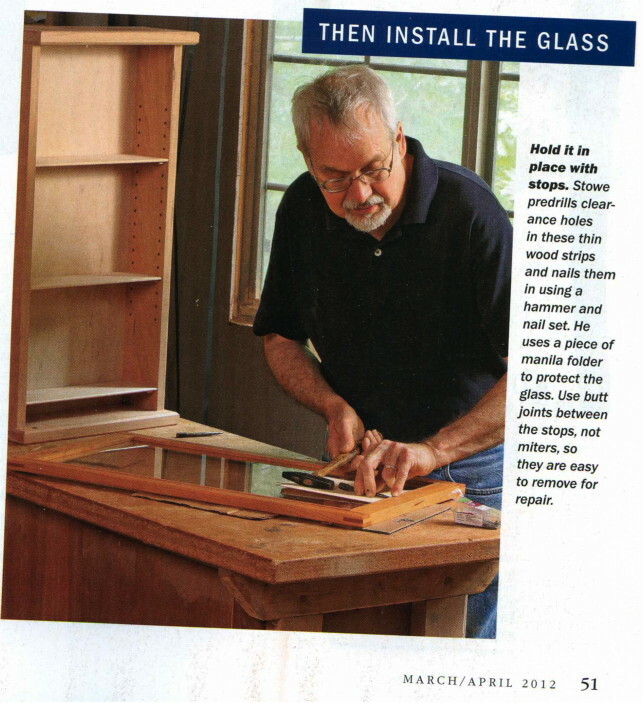 My article in Fine Woodworking on making glass doors came out this week, and if you are not a subscriber, copies can be found in a variety of places including Lowe's, Home Depot and Barnes and Noble. In schools we try to have kids thinking while sitting at desks that restrain them from testing what they've been informed is true. If we wanted our next generations to be makers, fixers, and otherwise productively engaged in activities that foster security, a caring society, and democratic values, our schools would more closely resemble work shops. Paul Preston of Ed Talk Radio sent me the following link that suggests some in the upper echelons of academia are finally starting to get the point. The Future of American Colleges May Lie, Literally, in Students' Hands. "I agree that a liberal-arts education provides those intangibles. But maybe it's time that instruction—at least at some colleges—included more hands-on, traditional skills. Both the professional sphere and civic life are going to need people who have a sophisticated understanding of the world and its challenges, but also the practical, even old-fashioned know-how to come up with sustainable solutions." Some of my long term blog readers will remember 5 years back when my daughter was first enrolled at Columbia College. (She is now in grad school) I began a conversation with Alan Brinkley, President, concerning my naive proposal to add a hands-on component to the core curriculum. Oh, well. Here we are 5 years later, and the core curriculum on the Titanic remains the same. I continue to suggest that if the purpose of the core curriculum is to bring us to a common point of human culture, to leave the development of skilled hands out of the formula, is to sustain one of the worst shortcomings of American education. Early proponents of manual arts understood that to teach all to create useful and beautiful objects was an important component in fostering democracy, as it helped to sustain the shared sense of the dignity of human labor. What would happen if students of one of the world's great universities were to enter their intellectual engagements through the shared framework of humanity that only the hands can provide? 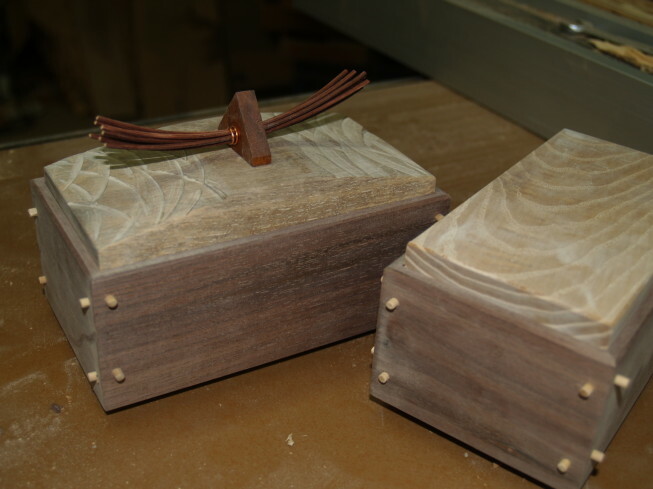 Today in the CSS woodshop, 4th, 5th and 6th grade students made "Friendship Boxes" and the high school students continued their exploration of making tools. The arts are essential for learning. What is it about that statement that is so hard to understand? "Clinton said the non-traditional training and tactics used by educators who have been trained through the A+ programs are more effective at cultivating critical-thinking abilities, as well as instilling a "love of life-long learning." "We don't all learn the same way, and we can't sustain as a country having the level of dropouts we have and the level of learning we're achieving compared to our competitors," Clinton said. "We're paying a terrible price for it today, and we'll pay a bigger price tomorrow." A+ Schools recognize that academic excellence is fostered by involvement in the arts. To become an A+ School, the entire staff from janitorial, through secretarial, administrative and teaching go through a summer training program to build an understanding of the role of the arts in education. Getting all the school personnel on the same page is an extremely important consideration in making the arts a serious part of the school culture. At the present time, A+ programs exist in North Carolina, Arkansas and Oklahoma, and the link above will help you get connected. The A+ Schools program presents an opportunity for public schools to make a shift toward better utilization of the arts in education. Walnut, with figured walnut, maple, cherry and walnut inlay. Also in this morning's Democrat-Gazette is an editorial on the lack of skilled "blue collar" workers in American industry. Wanted: Blue Collar Workers. The idea at one time was that all kids would go to college and we would leave manufacturing to the countries that could supply cheap labor. "... across the heartland, one hears the same concern: a shortage of skilled workers capable of running increasingly sophisticated, globally competitive factories. That shortage is surely a problem for manufacturers. But it also represents an opportunity, should Americans be wise enough to embrace it..."
The knife in the photo above is made by Jim Fliss, our CSS high school math, science and history teacher. 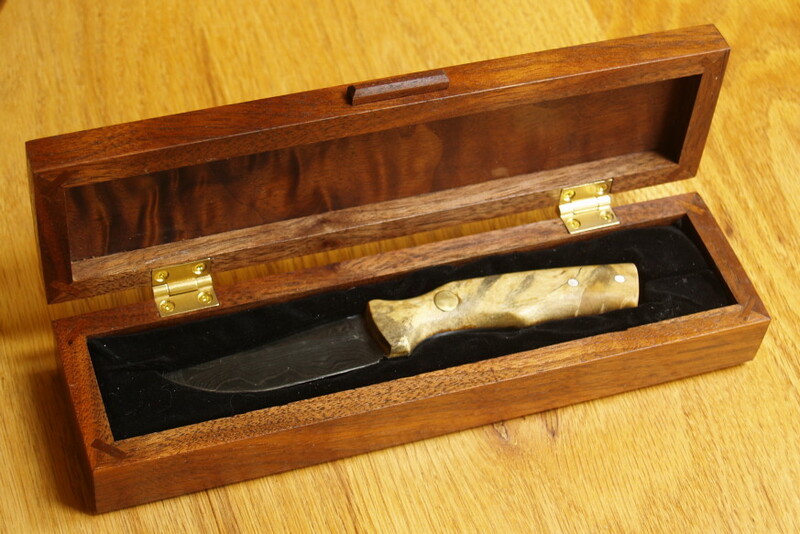 The box and knife are donations for the Clear Spring School art auction fundraiser in March. Doubt about the continued worth of handwriting skill is "similar to what happened with math as calculators and computers came into vogue," said Daniel A. Domenech, the executive director of the American Association of School Administrators, which co-sponsored the gathering with Zaner-Bloser, a Columbus, Ohio, company that produces a handwriting curriculum. "People wondered whether students needed to learn how to do math. The answer in both cases is absolutely yes. Writing is not obsolete." Another article, States Mulling Creativity Indexes for Schools, tells us that educators are finally awakening to the failure of schools under the stratagem of no child left behind teach to foster creativity. Will their strategy to put creativity in place be to add another level of testing? We all hope not. "We're tapping into a very clear need, as expressed particularly by employers, to reincorporate into the curriculum and school experience many opportunities for young people to develop creativity-oriented skills," said Massachusetts Sen. Stan Rosenberg, a Democrat and the lead sponsor of his chamber's 2010 bill calling for the index. The Massachusetts legislation calls for an index that would "rate every public school on teaching, encouraging, and fostering creativity in students" and be based "in part on the creative opportunities in each school." It cites as examples arts education, debate clubs, science fairs, filmmaking, and independent research. There is a simple strategy for improving schools that incorporates both handwriting and creativity. I call it the strategic implementation of the hands. On a related subject, I have been reading Doug Harper's book, Working Knowledge which explores modern work by examining the working life of Willie, a working mechanic with a family heritage in blacksmithing. Harper's is a useful view of what work was, and it has become through changes in technology. Willie's shop is as much multi-generational social center and school as repair place, with the hands of all (including customers) being engaged in learning and creative problem solving. And that is the key to education, the word "engaged." Working with the hands results in direct engagement. Working with the mind alone results in detachment. What kind of school do we want for our kids? If you've been reading what I've been reading, you will know that manufacturing in America is not what it once was and will never become again what it once was. For a long time we had watched manufacturing shift overseas in search of cheaper unskilled labor, but as machine tools have become more capable and complex, and the human hands-on labor contribution to the value of the product has diminished, some manufacturing is returning to the US where the stable political and social environment offers greater safety for the investment required. But this manufacturing that is making its comeback takes far fewer workers than ever before. While in my own work as a craftsman, the labor component to the value of my work is approximately 70%, the labor component of more modern manufactured products is only 5-7%. That level of efficiency is a boon for investors, but not great when you think of providing meaningful employment opportunities within a diverse community. "The schools do so little really to interest the child in the life of production, or to excite his ambition in the line of industrial occupation, that the ideal of life, almost from the beginning, becomes not an absorbing interest in one's work and consciousness of its value and social relations but a desire for money with which unmeaning purchases may be made and an unmeaning social standing obtained." I want to draw a distinction between the consumer society Addams predicted, and the culture of craftsmanship which had long been our human heritage. We can each surround ourselves with meaningless things made thoughtlessly and without human care, or we can adapt to a new and more meaningful age with roots sunk deep in a heritage of human creative craftsmanship. We get to choose. 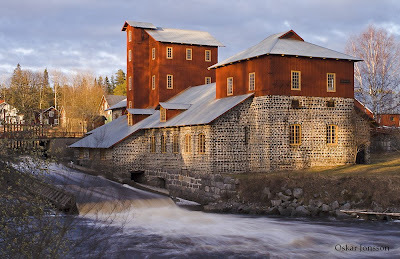 When the industrial revolution hit Sweden, a nation of small towns, villages and farms, the traditional objects that the common folk made during the winters to add economic value to their lives were no longer of value in relation to the well-crafted objects made by machines and imported from Germany and the UK. People stopped making their handcrafted items for sale and exchange, and suffered a significant loss of self-esteem within their communities as a result. It seems the pride we feel in ourselves is closely linked to our capacity to create. And so leaders in Sweden and the other Scandinavian countries understood crafts in schools to be the path forward toward the restoration of human dignity. There are things and will always be things that are best made by real folks. The challenge therefore is to find ways of helping all citizens find meaningful lives through the exercise of skill, and to lead them toward making choices in their acquisition of the objects that fill their lives that also fulfill their own aspirations for community and self. "The general transformation of technique in a society is part of an ever-widening split between the envisioning of a thing (engineering) and its production. With each stage of production the complexity of knowledge increases with the role of the single individual in relation to the overall task of engineering and production decreases. The result has been, as explained in many familiar analyses, the alienation of the worker--his or her separation from a sense of purpose, separation from self as well as community. This process of alienation can, from one perspective be summed up as the separation of the worker from the knowledge that once guided the work. "The result of the ever-increasing division of labor, wrote Max Weber, is rationalization. Rationalization describes the process through which social organization becomes more systematized as the division of labor becomes more elaborate. Rationalization makes the worker an ever-smaller cog in an ever-larger social organization. Although the organization of a rationalized society is more efficient, the human experience becomes every more routinized... While all work is touched by rationalization, certain kinds of work are more easily made routine than others. Making for example, evolves to mass production, a fully rationalized system. Making the machines that guide and control the mass production (the work of the millwright), however, depends on the method and mind of the artisan, and thus it preserves that earlier method. Fixing in a general sense, extends a yet earlier mind and method, that of the original fashioner. "Making and Fixing are eventually guided by different kinds of knowledge, making being dominated by the limited knowledge of the machine tender and fixing by the knowledge of the earlier mind that stood in the same relation. as its inventor to the technique." The building shown in the photo above housed the furnace. The blocks used in building the foundation were made of slag, a by-product of the making of iron. Today, a small adjacent building is the studio of a blacksmith who demonstrates his techniques, making tools and decorative objects and sells his work through a small gallery. Another building nearby holds a water powered hammer and anvil. To see it in operation is amazing. If you are lucky enough to be there for a demonstration be sure to wear ear plugs. The noise is deafening. Most of the men who worked there were deaf and disabled within just a few years. The water driven hammer is huge. The old school house in the community houses a museum, and gift store. The other buildings are used as studios by artists. The following is from Jane Addam's book published in 1902, Democracy and Social Ethics. "It is doubtless true that dexterity of hand becomes less and less imperative as the invention of machinery and subdivision of labor proceeds; but it becomes all the more necessary, if the workman is to save his life at all, that he should get a sense of his individual relation to the system. Feeding a machine with a material of which he has no knowledge, producing a product, totally unrelated to the rest of his life, without in the least knowing what becomes of it, or its connection with the community, is of course, unquestionably deadening to his intellectual and moral life. To make the moral connection it would be necessary to give him a social consciousness of the value of his work, and at least a sense of participation and a certain joy in its ultimate use; to make the intellectual connection it would be essential to create in him some historic conception of the development of industry and the relation of his individual work to it." "It is upon you teachers of art and manual training that we must depend for help in this problem. It is you, and you only, that can develop influences that will bring to this army of wage-earners something of true social consciousness, something of joy and satisfaction in their work, something of stimulation toward a larger intellectual life." NPR had a segment this afternoon on the changes in American manufacturing. Listen Here: The Future of American Manufacturing Jobs. Unskilled labor need no longer apply. Modern manufacturing takes a mind well prepared in computer technology, as jobs often take no hand-skills at all but those of pushing buttons. However, the kinds of mental capacity made available by the manipulation of real materials may always be of value. Just as it is best to start children on languages when they are very young, it is also of crucial importance that children being thinking in 3 dimensions as early as possible. Making and manipulating real tools and materials will continue to be important. Get the picture? 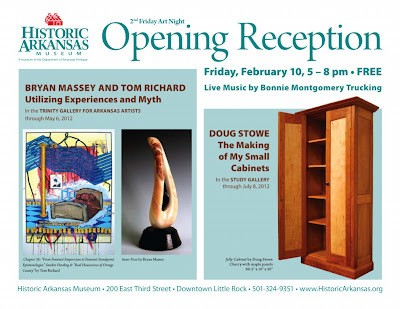 The following is your invitation to my opening on February 10, 2012 at the Historic Arkansas Museum. We are having unseasonably warm weather in Arkansas and today we had an unusual high temperature in the 60s F. This AM I took my chain saw into the woods to clear our nature trail and prepare it for short hikes with my first, second and third grade students who are studying American Indians in class. They've made dioramas in boxes made in wood shop, built a small teepee in their classroom campus and studied tribes from all across the US. Playing horse... or dog. Men and women also pulled travois. While we have a forested area of the main campus, it is overrun with kids. 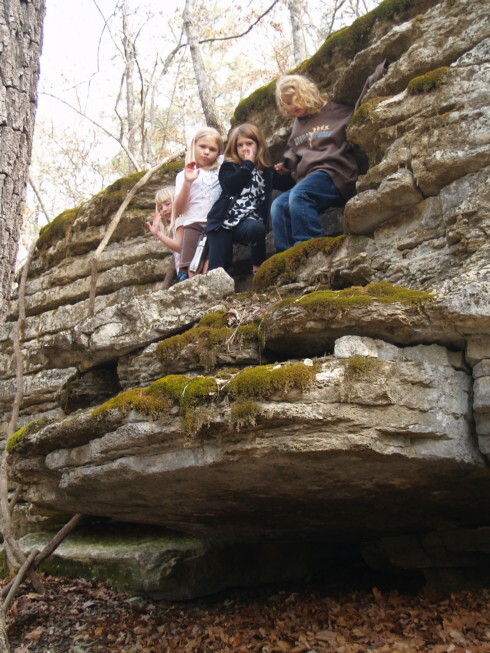 And when they get out of class and are permitted to go in the woods, the children are whooping savages in comparison to the more reverent way we would like them to address the woods and wilderness. Today my experiment was be to get them to walk more carefully, more quietly, and with greater sensitivity through the woods, with greater attention paid to observation and reflection. Do you know how difficult it has become to be silent? To have the capacity to maintain silent focus, to be still in mind and body is of immense value. To listen, to observe closely, unimpaired by the chattering monkey mind can be the way new insights emerge, and can offer a path to transcendent understanding. I believe that the internet age has made things worse for all of us. We are in a hurry for our information, and read only part way through things before we frame our response. For instance, this morning I got an email from a reader of my book Simply Beautiful Boxes. He is a very capable cabinet maker but had not understood a sequence of photos which he could have understood if he had read the text. Also, I got a response to an email in which the correspondent had missed the primary point my earlier message had made. If our minds are too full of constant chatter, there is no-one listening, and there is no capacity for observation. How can we listen if we are full of ourselves? And so there is a need to slow things down. A walk in the woods can do that. I asked my students to be silent. I asked them to walk with attention to quiet feet, as though we are on the track of wild game that must not be frightened. That is one of the better lessons we might learn from our nation's tribal heritage. Today they did well. As shown in the photos, we also made a travois, and tested it.